Call 866-869-3335 To Get the Right Office Building Insurance Protection For You at the Lowest Cost! No matter where your office building is located, accidents can happen! One missed step, an ignited fire, or vandalized property, office buildings are subject to risks. Evaluating potential risks and putting an insurance policy into place to protect your office building is vital to your success. We are here to get the right office building insurance protection for YOU at the lowest cost! Do you have the right type of office building insurance with enough coverage to replace the building property? If you have to relocate to a new location for several months, will that be covered? What about loss of business income? These are all legitimate questions that YOU need to be able to answer. If you can’t, then you need to contact us at Paramount Insurance Agency so we can put the right kind of North Carolina office building insurance policy into place to give you the proper protection! We now offer a special lessor’s risk (LRO) program for office building owners who lease space to tenants or occupy less than 75% of the building space and leases out the remainder to other tenants. 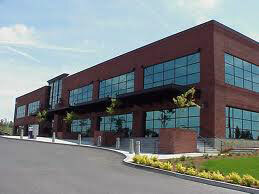 This specialized North Carolina Office Building Insurance policy provides general liability and building coverage. Additional coverages for business personal property and signs can be included. In many cases, we can package your lessor’s risk insurance into a business owners policy (BOP). This provides many additional coverages all wrapped up into one low cost policy. With one quick phone call, we can get to work for you right away. We’ll shop the marketplace to find you the right lessor’s risk insurance at the lowest cost. Paramount Insurance Agency has been insuring office buildings in Asheville, High Point, Greensboro, Burlington, Raleigh, Charlotte, Cary, Durham and all over North Carolina since 1997. Call NOW to speak with one our friendly North Carolina licensed commercial agents and get an insurance quote for your office building. Call 866-869-3335 for a FREE, No Obligation Lessor’s Risk Insurance Quote Today or Complete the Form on the Right!